Since switching to work-from-home life earlier this year, I’m re-learning being with my kids, and one thing I’ve noticed is that they lack self-sufficiency. It’s entirely my fault – only being off at weekends meant that my priority was spending quality time with them. Whether or not they knew how to make breakfast or get their own drinks or wash the dishes wasn’t on my radar. And it’s ironic – at work, we always had a very strong information-sharing culture. Being the only one capable of doing a particular job was frowned on. So why wasn’t I implementing the same teaching culture at home? It didn’t take long – after a week of getting drinks and snacks for them four hundred times a day, I showed them how to look after themselves. 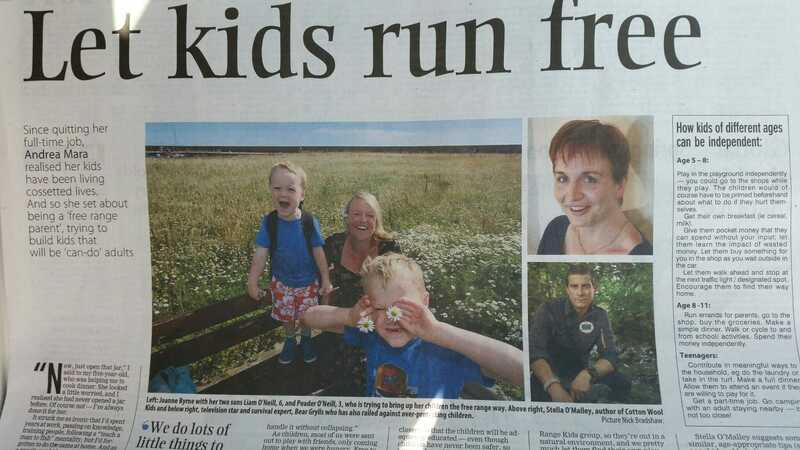 And at the same time, I read a bit about Free Range Kids, the US movement founded by Lenore Skenazy, aimed at helping people take a more common-sense approach to parenting – less hovering, more freedom. 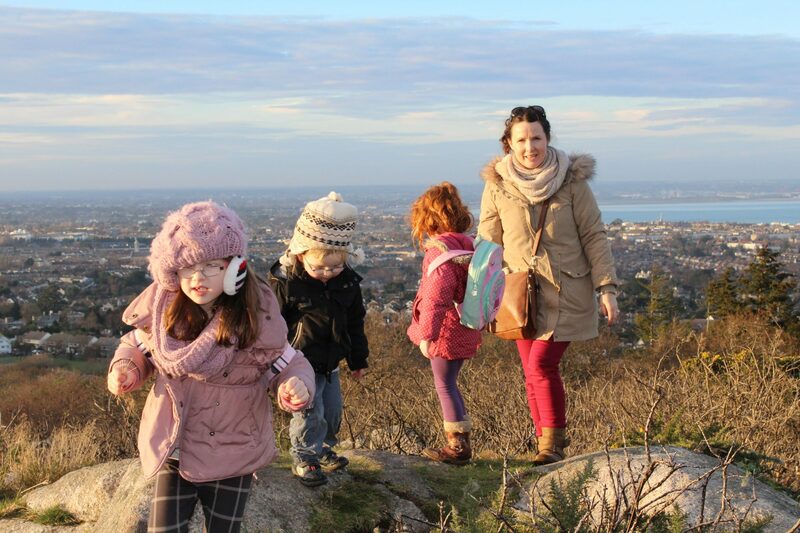 The biggest contribution was from Joanne Byrne, a Dublin mum of three (two at the time – now three!) I learned a huge amount from what she shared with me, far more than I could fit into the Examiner article. So I’m sharing it here, in case others are also interested in getting a detailed insight into how Free Range Parenting works, and the benefits it can bring. 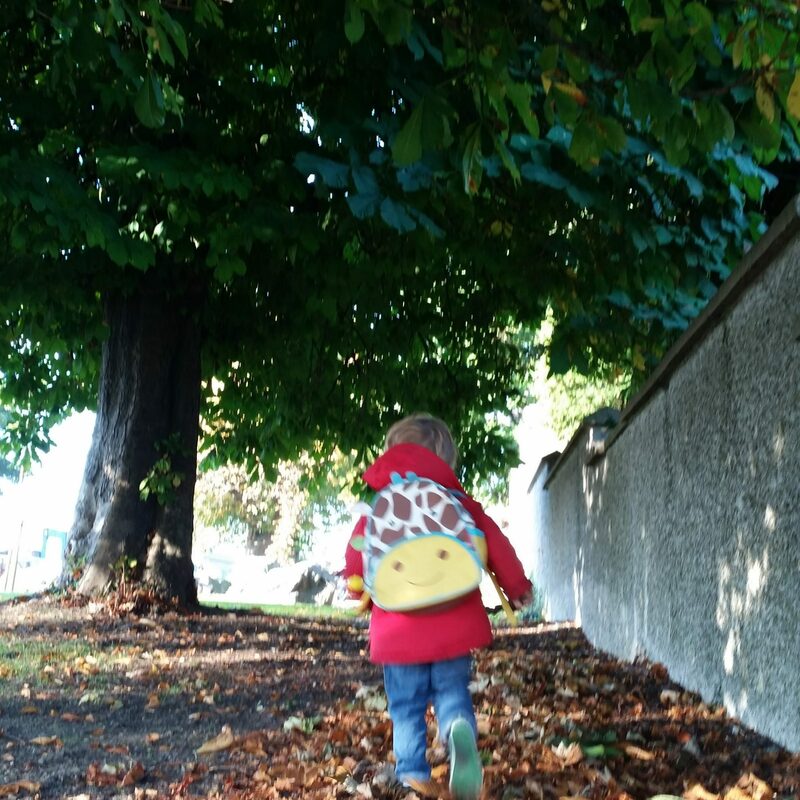 First of all Joanne explained that to her, free range parenting is about encouraging and supporting her children to be as autonomous and independent in their lives as possible. I asked her what kind of things she does or will do in the future, to encourage independence and to support them in assessing risks and making decisions. Joanne also encourages her kids to interact with adults that they meet out and about, to pay for things in shops, to ask questions about things that are happening on the street if it’s appropriate, and to chat to the librarian about books they want to get. She goes out a lot with a free range kids group that she connects with, so that her children are in a natural environment – parks, woods, mountains – and then lets them find their own play and explore as they see fit. So for parents who would like to take some steps towards building independence but are nervous about going too far, what’s the best way to start? And of course we all worry about stranger-danger or even just falls – are there some tips to make free ranging as safe as possible without inhibiting the whole intention? “I found the safety rules for kids at safelyeverafter.com very useful. We’ve worked through them with our older fella and review them every now and then. They are so empowering and show how kids can easily interact with adults and enjoy the richness of that experience without putting themselves in danger. She doesn’t talk about strangers but about tricky people, and a tricky person is another adult who asks you to be unsafe, whether you know them or not. So you talk to kids about how safe adults don’t ask kids for help, they get help from other grown-ups. You don’t go anywhere or take anything from someone you don’t know and you always check with your safe grownup if you’re being asked to go somewhere or change your plans. Can’t check – answer is no. Joanne advises parents to read statistics about child harm and see what is actually likely to endanger children, rather than what news and social media are leading you to believe might harm them. “Stella O’Malley’s book Cotton Wool Kids is a great read in the Irish context and highlights that while we’re worried about the almost non-existent threat of child abduction, we’re ignoring the fact that our children are sitting in houses, often on screens, at risk of lifestyle illness due to lack of outdoor exposure and exercise and becoming depressed at alarming rates. These are real threats to the health and lives of our kids, we owe it to them to take them seriously when making decisions! And is there a way to know that a child is ready for a particular step – presumably it all hugely depends on the child and the parents’ instincts rather than age, but I suspect lots of us don’t trust our own instincts anymore? Confident, self-reliant and resilient sounds good. I look forward to continuing my (baby-step) free range endeavours, and in the process, enjoying the look of amazed delight every time I let my children do something unexpected by themselves. Though I suspect the novelty of making breakfast, getting drinks and washing dishes is about to wear off, and just as they got pretty good at it too. My little guy is only 8 months now but I’d be interested in learning more and see what resources and peer support there is here in Ireland. Is there an Irish free range parenting Facebook group? Thanks for your quick reply Andrea. I’ll look that up now. This was always my philosophy – hence getting my oldest and youngest to iron their own clothes for example by the time they were teenagers. Sadly special needs has interfered with my plans though! Looking for Blue Sky recently posted…What happens after dinner in your house? I’d never heard of free range parenting but it seems that this is mostly what I am doing with my lot. We go out exploring a lot, they have their own craft areas in two separate rooms in the house, they have a wilderness area of their own at the back of the garden and since they were very small I have allowed them to order and pay in shops and cafes. They borrow the library books themselves, the owner of the book shop knows them by name as do the staff in the local bakery and they help themselves to drinks at home. With snacks, they always have to ask first, but they can get them themselves from the fridge or the presses. It is funny to think that there is a movement based on this type of child-rearing.